Point2 Homes gives you far more than a simple list of houses for sale. Get instant access to a lot of relevant information about Vaughan, ON real estate, including property descriptions, virtual tours, maps and photos. The search results pages also have a wealth of information on Vaughan, ON, if you scroll all the way down. 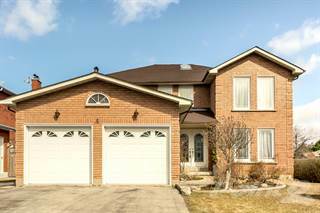 There are 723 houses for sale in Vaughan, ON. Searching homes for sale in Vaughan, ON has never been more convenient. With Point2 Homes, you can easily browse through Vaughan, ON single family homes for sale, townhomes, condos and commercial properties, and quickly get a general perspective of the real estate prices. Also, you’ll never miss a bargain if you filter listings based on house price drops in the past six months. Use the map view to find Vaughan, ON homes and apartments for sale, based on amenities or city features that you may want close by. You can close in on a specific neighbourhood or area by simply drawing around them with the polygon or radius tools. Stay informed about the latest entries on the real estate market by saving your searches. This way, you get new listings in your inbox, daily or every week, based on your preferences. If you’d like to get in touch with a professional, agents are displayed next to their listings, and they’re easy to contact through the online forms. If you want more options, you can click the Tools tab and Find an Agent, and you’ll get a list of helpful and knowledgeable real estate agents in Vaughan, ON. Visit the Point2 Homes blog and you can find up to date expert advice on many markets throughout Canada, regular market reports, neighbourhood scoops in cities throughout the provinces, real estate deals and useful recommendations. Vaughan is a city located in Southern Ontario that boasts the second highest population growth rate in the country, having grown by 10.9% since 2011 from 288,301 to 329,100 in 2016. Located in the North York region of Toronto, Vaughan covers roughly 274 square kilometres of land and is 30 minutes away from the downtown area of Toronto. The downtown area of Vaughan has a booming business culture that has seen massive growth over the past five years. Roughly 680 hectares of employment lands are available for businesses looking to expand their services towards the citizens of Vaughan, and the existing 10,000 businesses collectively employ almost 200,000 people across various industries. With the highest jobs to housing ratio in the Greater Toronto Area, Vaughan will continue to see economic growth for the next 20 years. Vaughan is famously known across Canada for being a host to several entertainment hotspots. One of such places is Canada’s Wonderland, the country’s top amusement park that features well over 200 attractions. Tourists will be delighted to see art galleries, reptile zoos, annual heritage festivals, wineries, and many more attractions available to them. One of the interesting things about Vaughan is that its name is not explicitly written in mailing addresses or phone books. 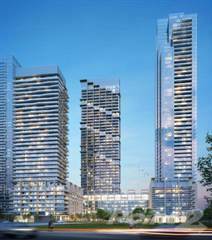 Rather, a person’s location within this city is defined by one of the six communities that make up the city, Woodbridge, Thornhill, Maple, Kleinburg, Concord, and the Vaughan Metropolitan Centre. Kleinburg is a small village with a small population of under 5,000 that is home to the infamous McMichael Canadian Art Collection. Woodbridge and Concord are both industrial suburbs located near Highway 400, making them prime locations for multi-national corporations. Maple and Thornhill are both communities that have seen rapid population and are by far the most ethnically diverse regions of Vaughan. The Vaughan Metropolitan Centre is a massive real estate project that is aiming to turn a 125-acre site between Highway 400 and 7 into a high-density downtown hub that will become the city’s central business district. Given that Vaughan is the 6th richest city in Canada, it should be no surprise that a majority of the population consists of young people that are highly skilled in the workforce and hold some kind of post-secondary qualification. This has resulted in a booming real estate market with housing prices that see consistent growth on an annual basis. Woodbridge has seen a large increase over the years in home development. Visitors can expect to see an eclectic mix of historical homes, newly developed low-rise condos, and some detached homes. Over the past 20-30 years, many older homes have undergone serious renovations that make them more attractive to prospective buyers. Thornhill has its fair share of detached homes, but the past decade has seen a rise in condo development. This has resulted in a very competitive market within a very small space. Many of the best-selling properties are located within walking distance from several amenities that include community centres, libraries, parks and pools. 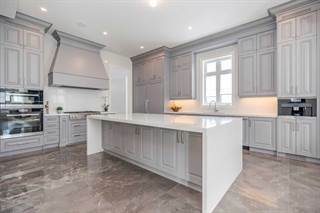 Kleinburg is home to some of the largest homes in the Vaughan area, offering numerous detached homes that occupy several thousand square feet. Common features include fully furnished kitchens and basements, parking spaces that can hold multiple vehicles, and a full-sized pool. With nearby access to Highway 400, residents can commute to the city with ease. Maple comes the most diverse set of homes out of the communities in Vaughan: Detached homes, semi-detached homes, townhomes, bungalows, and low-rise & high-rise condos. There is a home for every kind of person in this community. Properties contain an abundant amount of mature trees and vegetation, adding an extra layer of beauty to a well-developed neighbourhood. The Concord suburb is far more industrial in nature compared to the other areas of Vaughan. Many well-known housing development entities such as Treasure Hill Homes, Gold Park Homes, and Aspen Ridge Homes have built and established properties in this area. These properties are nearby the multiple businesses and companies in Concord, which consequently improves their market value. Vaughan is home to York University, the 3rd largest university in Canada that has over 50,000 students enrolled in its 11 faculties. It is best known for its prestigious psychology program and extensive interdisciplinary research credentials. Notable alumina from this university includes famous actress Rachel McAdams and Joel Cohen, writer and producer of The Simpsons. This city is also home to several public and private schools ranging from K-12. In particular, there are over 33 elementary schools (JK-8) for parents to choose from. With EQAO pass-rates being very high for these schools compared to the average, parents can rest easy knowing that their child is getting a high-quality education. Many of the top-ranked elementary schools tend to be concentrated in the Thornhill and Woodbridge areas.